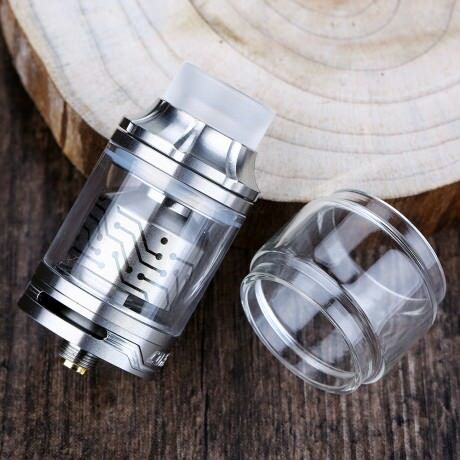 Today, we introduce you the Vapefly Core RTA, a master piece RTA crafted by German 103 Team and Vapefly. This rebuildable tank supports both single coil and dual coil build. It features powerful Q airflow system with large air slots which brings you optimal flavor and massive clouds. It’s a screw to open top filling system with the standard tube that holds 2ml of ejuice. You also get an extra bubble glass tube which holds up to 4ml of ejuice. Vapefly Core RTA comes in four colors: black, gold, rainbow, standard steel. And two types of edition: standard and TPD edition. Introducing you an innovative pod system,Innokin EQ. The EQ comes in an ultra compact design, is loaded with a built-in 800mAh battery, which ensure its portability and battery life. Moreover,EQ comes with an innovative plexus coil featuring superior flavor and longevity, ultra-fast wicking, super easy to eliminate hot spots and rapid heat diffusion to increase coil life. If you were looking for a pod system, this is one that you cannot miss! Want to have large cloud and rich flavor at the same time? Try the brand new Vapefly Galaxies MTL Squonk RDTA. The bottom air slot and the unique screw AFC system provides 360 surrounding airflow with 6 levels airflow control. With the top chamber being ultra tight and small, it compresses the vapor to bring you some intense flavor. Ever heard of press to fill design? Vapefly’s got it. Galaxies MTL Squonk RDTA supports top filling and bottom feeding. The spring loaded filling port provides easy filling and fits most of the ejuice bottle. And it’s got 2ml ejuice capacity. The unique ventilation design prevents overheating while you enjoy vaping. It also comes in four colors: black, blue, rainbow, stainless; and two editions: standard and TPD. 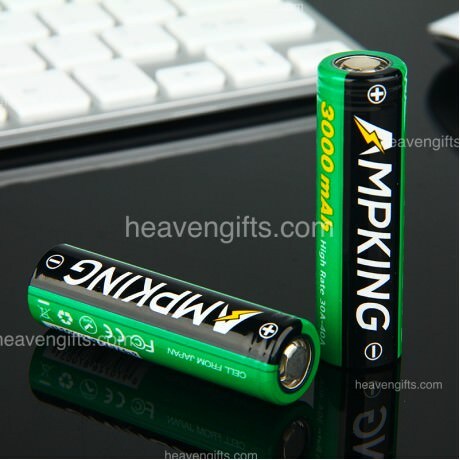 Adopting new technology, Ampking AK4030 21700 supports the typical capacity of 3000mAh and furthermore. The new Rapid Charging Mode can charge with 4A, which almost decreases 50% charging time. 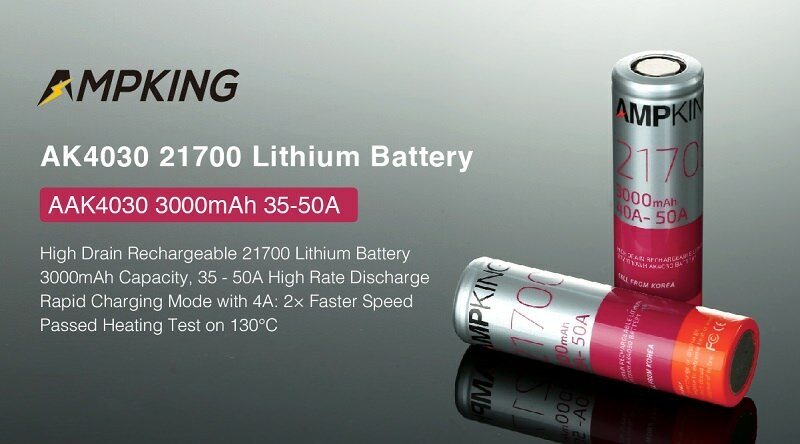 Compared with 18650 battery, its heating test is up to 130℃. According to the data of overcharging test in Lab, it doesn't fire or explode when charging with 20V and 18A for 7 hours duration, even with the resistance load of 100mW. Introduce you a beautiful and powerful pen-style kit from VOOPOO, called Caliber. Following the design of minimalism and ergonomics, it’s a perfect combo of Caliber mod and UFORCE tank. The gold plating badge button and LED indicator light make it elegant and luxury. Powered by built-in 3000mAh battery with a strong and durable life, Caliber MOD supports the max output of 110W, offering you over 200 puffs of vaping on one full charge. It features the advanced 32-digit GENE.FAN chipset with no-delay 10ms firing speed, which brings you a stable and powerful vaping experience. The paired UFORCE is a flavor-oriented subohm tank with 5ml large ejuice capacity. It comes with the innovative UFORCE U4 Coil and U6 Coil for decent flavor and huge clouds. If you’re looking for an exquisite kit with a harmony between large clouds and nice flavor, then you cannot miss this VOOPOO Caliber. Introducing one little kit from Vaporesso, Tarot Baby. This kit is fairly light, loaded with upgraded OMNI Board 4.0 chipset which features a insta-fire, super player mode and multiple protection. The 0.002s firing speed enables a big cloud and rich flavors from the first puff. The NRG SE tank it comes with has a GT meshed coil to help delivering richer and smoother flavor. 2500mAh built-in battery and 2A quick charge assure you a whole day vaping without any charging fussy. All in all, the Tarot Baby is a one worth your purchasing! Say hello to the latest pen-style kit from Joyetech, called Exceed NC, consisting of Exceed NC battery and NotchCore atomizer. Utilizing the finely engraved design, the Exceed kit is a total masterpiece with stylish appearance and portable size. Powered by the built-in-2300mAh battery, Exceed NC battery features two optional modes including direct output mode and constant voltage output mode, which brings you a simple yet powerful vaping experience. Moreover, it also adopts multiple protections for safety. The paired NotchCore atomizer has 2.5ml ejuice capacity. It comes with notchcoil in a horizontal way, which not only is convenient & rewickable, but also produces purer flavor. Meanwhile, you can also enjoy the huge clouds with a low power output. Easy to use, no-button, sleekly design, leakage-free, refillable, side refiling, with all that mentioned, we introduce you the Eleaf iWũ 15W Pod Starter Kit 700mAh the best option for an easy to use pod vape. Powered by built-in 700mAh battery, Eleaf iWũ can fire up to the max wattage of 15W with direct output mode and supports vaping for a long time. The LED light on the bottom will indicate the battery life with 4 different colors. 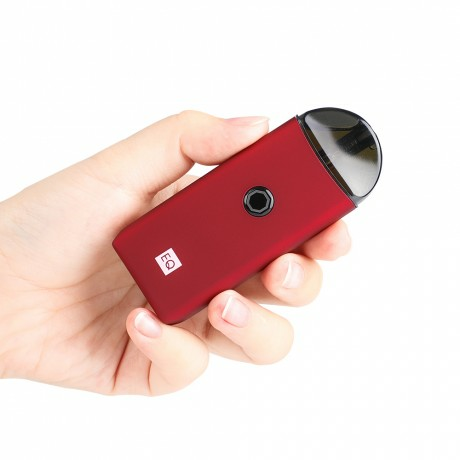 It comes with 2ml e-juice capacity and the innovative side-fill design prevents leaking. It uses 1.3 ohm coil which is optimized for nicotine salts. And don’t forget! This stylish all-in-one vaping kit also comes in 5 colors: black & red, blue, gold & green, silver & black, dazzling yellow. Advken brings a new member to its MANTA series, called MANTA Tank, which is a 24mm subohm tank with 5ml large ejuice capacity. Constructed with high-quality stainless steel, MANTA tank is solid and durable. The special honeycomb design makes it very attractive. It adopt the sliding top cap for easy refilling. The included 0.16ohm/0.2ohm mesh coil produces great flavor. Together with adjustable bottom airflow, 810 drip tip & gold-plated contact pin, Advken MANTA tank will bring you an unparalleled vaping experience.